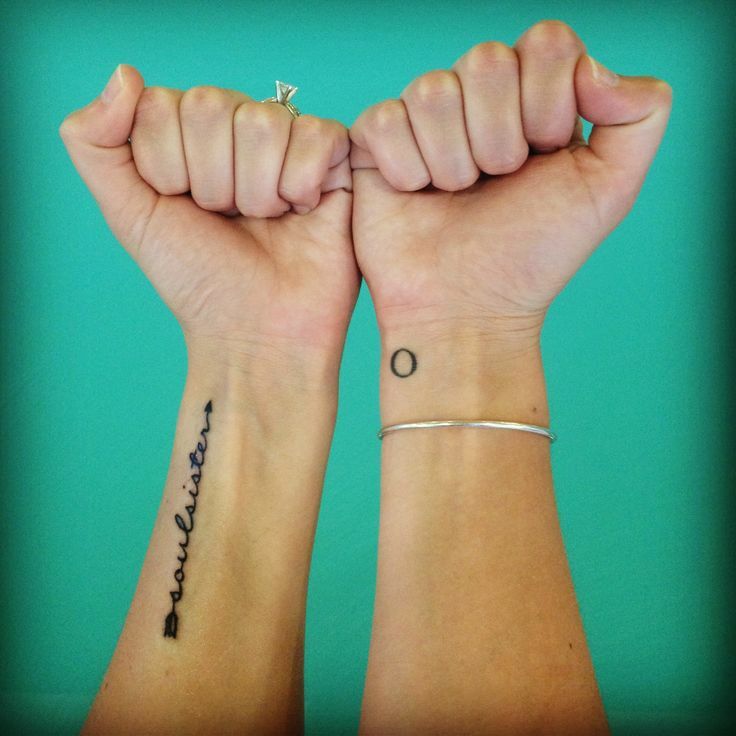 Sister tattoos provide an unbreakable bond for sisters. Your sister is more than a family. She can also be your best friend. She is someone that you can always rely on. 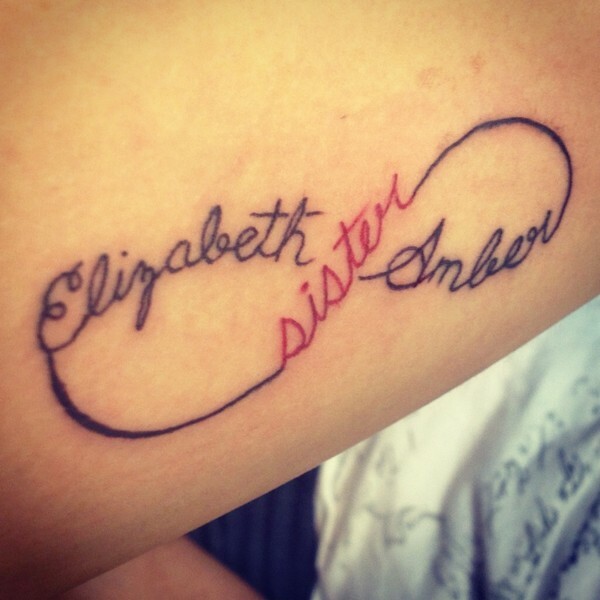 A sister tattoo will reveal your love to the world. It can also help in making your relationship stronger. 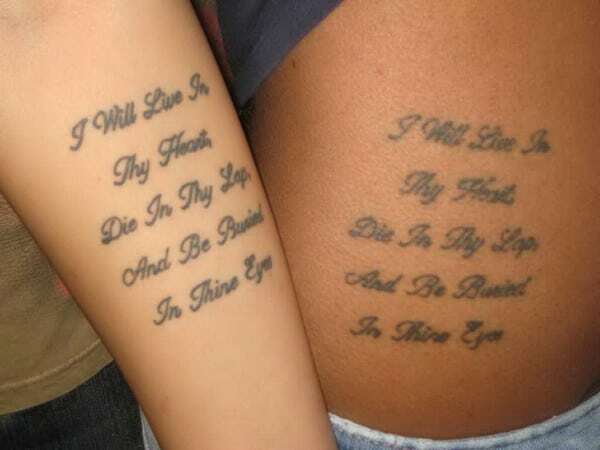 These tattoos can be more extraordinary when it has a real meaning. There are times that you and your sister will be miles away from each other. 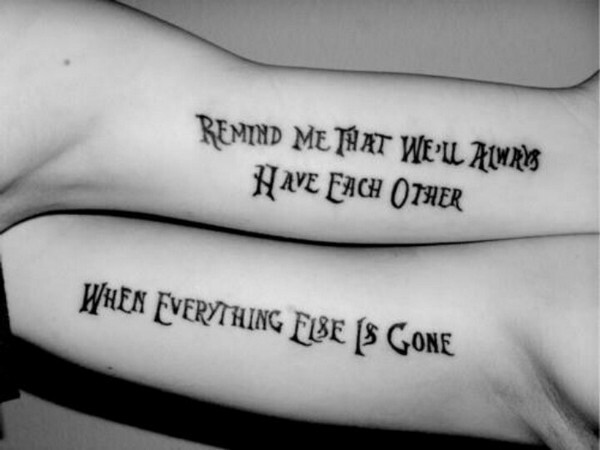 During these times, you can take a look at your identical sister tattoo and remember your beautiful memories together. 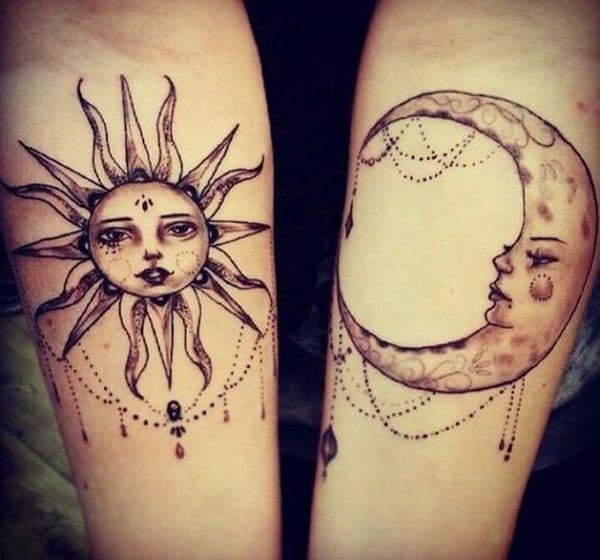 Before going to your tattoo artist, check out these unique and symbolic sister tattoos that can help you in getting some ideas and inspirations. 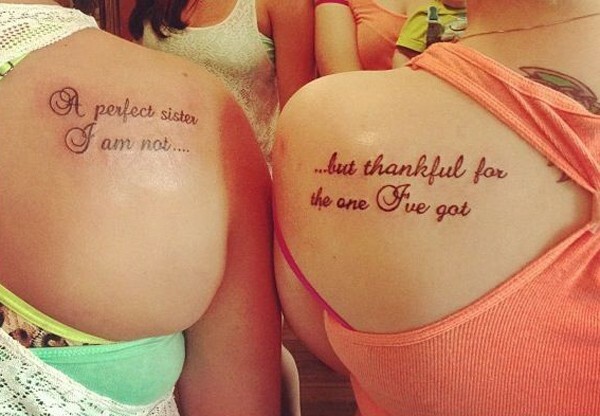 These amazing sister tattoos are ideal for sisters who want to get a tattoo together. 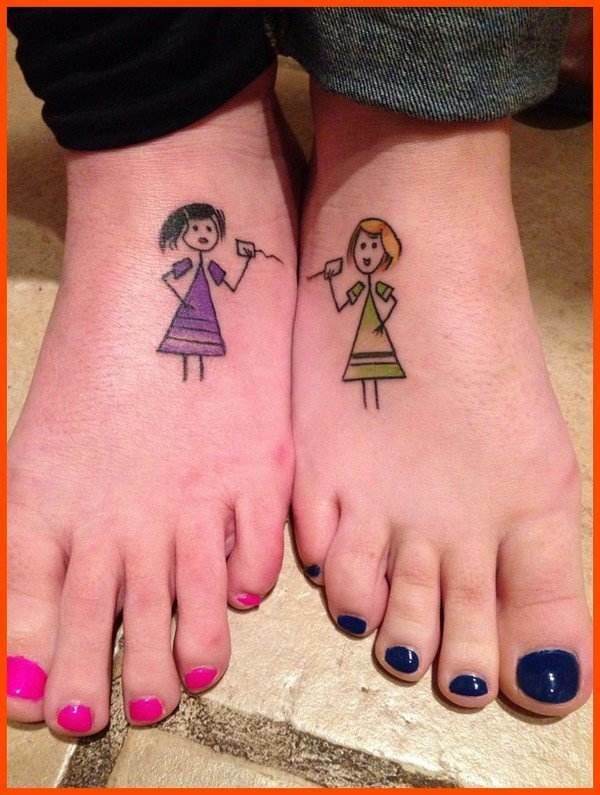 This tattoo symbolizes the bond between two sisters. 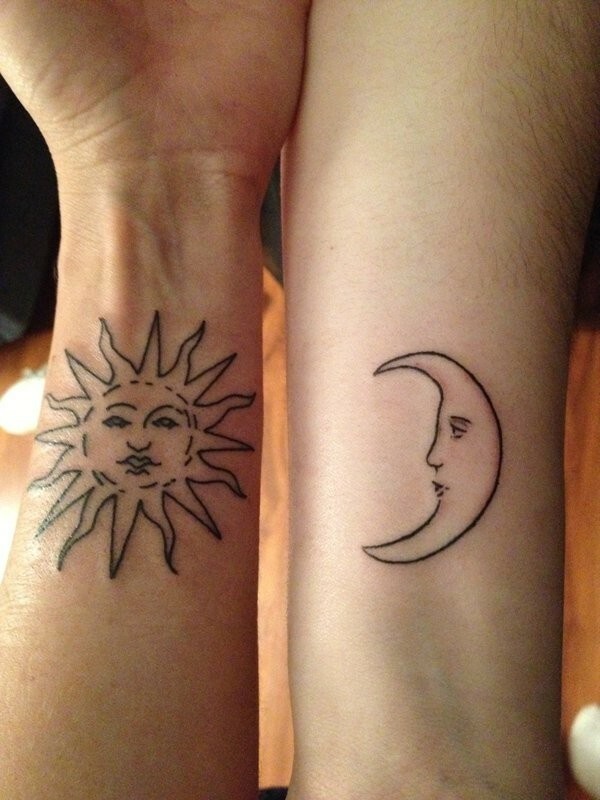 The sun and moon tattoo represents Yin and Yang. It also means good and bad as well as light and dark. Generally, it means the balance of the opposites. 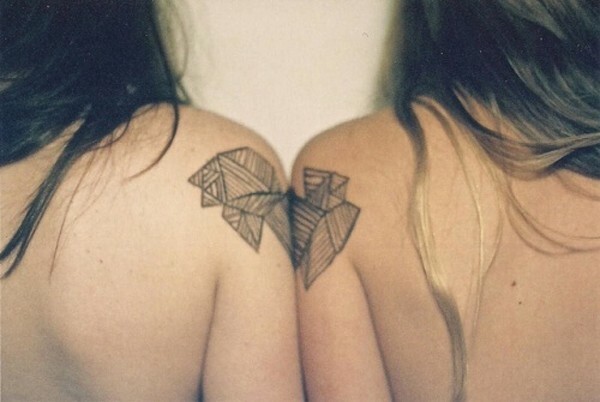 A nice bow and arrow tattoo for sisters. 5. Remind me that we’ll always have each other when everything else is gone. 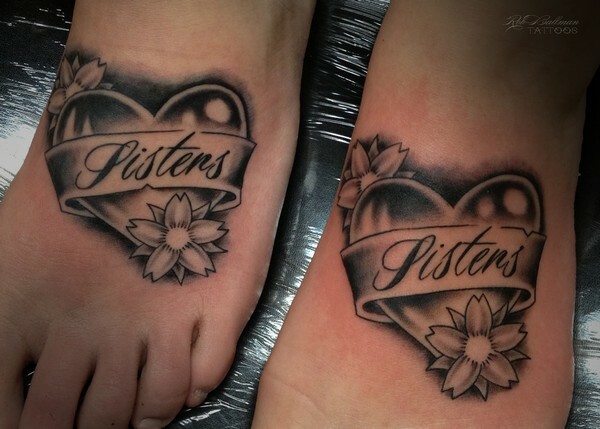 A brother and sister tattoo that depicts love for each other. 6. I will live in thy heart, die in thy lap and be buried in thine eyes. 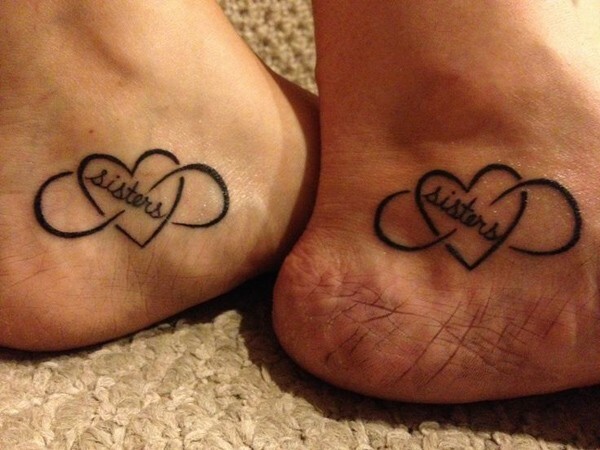 This tattoo represents the bond between a sister and a brother. 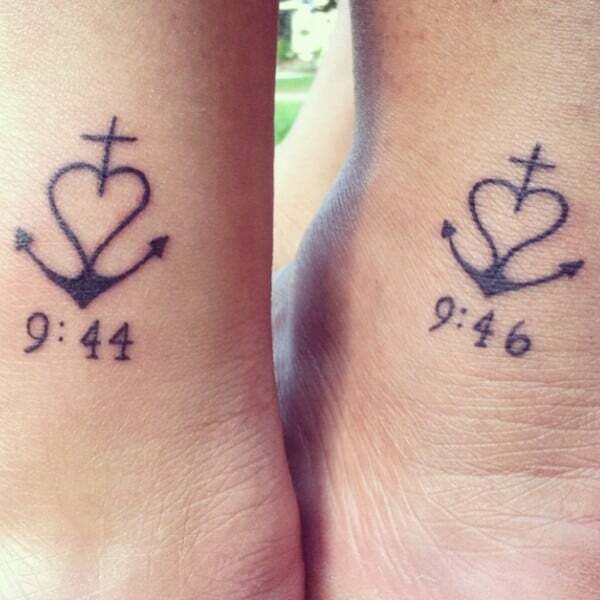 Simple and cute tattoo for brother and sister. 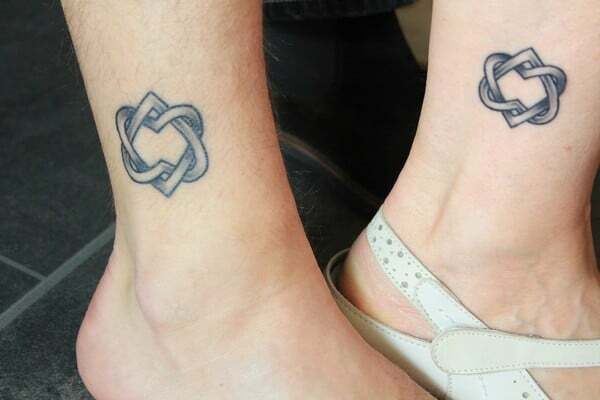 Brother and sister matching tattoo symbolize deep love and connection to each other. 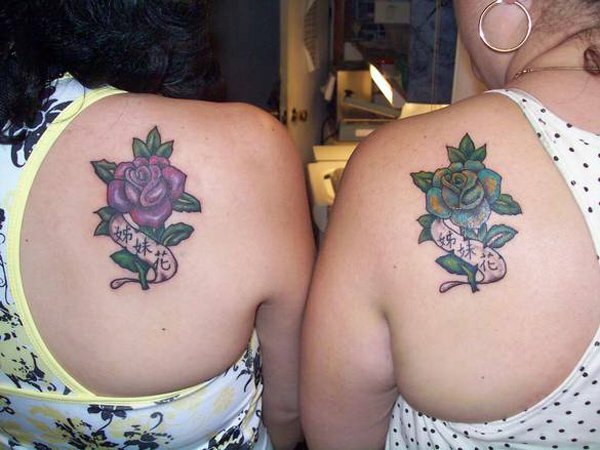 This flower tattoo represents the strong connection between two very close sisters. 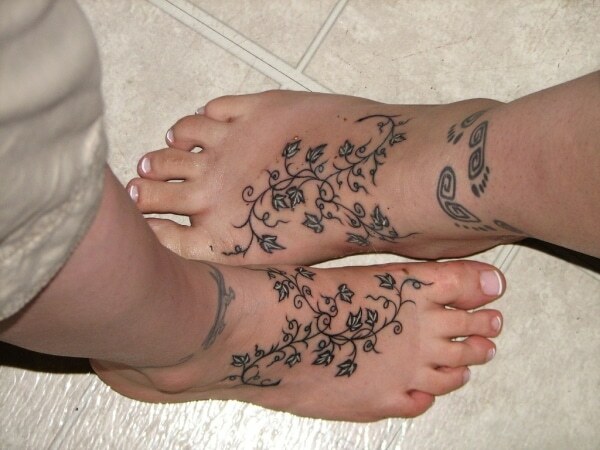 This is a perfect design for a sister tattoo. 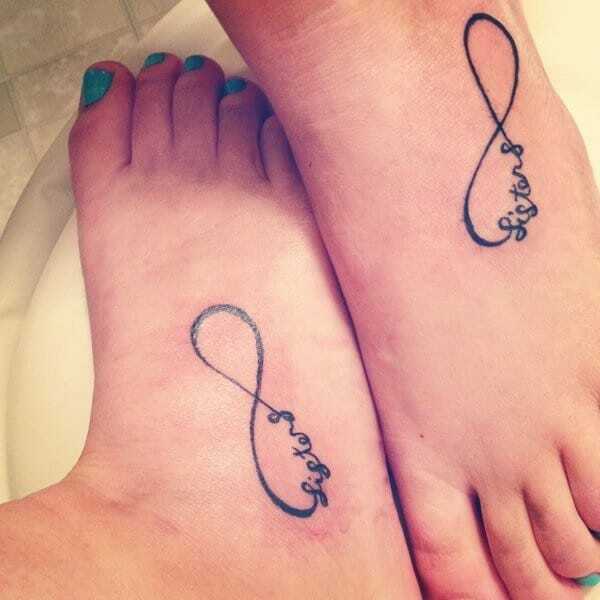 Infinity sign represents everlasting love. 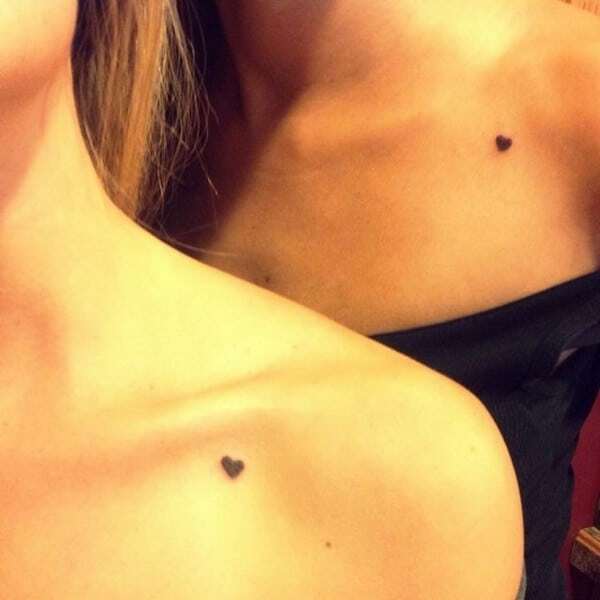 Small and simple yet meaningful tattoo for sisters. 13. A perfect sister, I am not… but thankful for the one I’ve got. 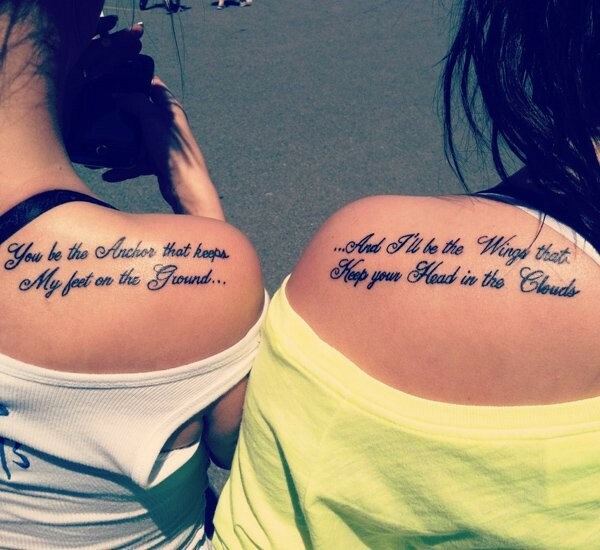 An inspiring tattoo quotes for sisters. 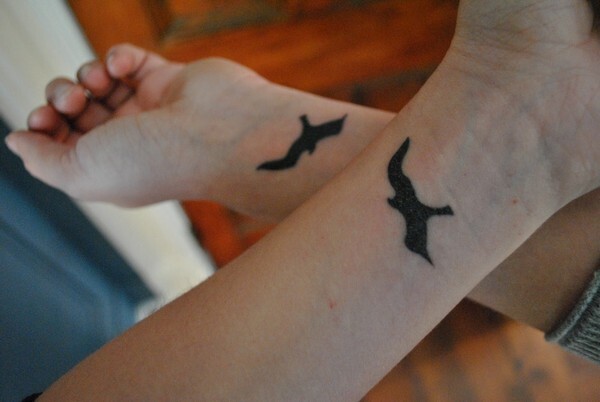 Matching bird tattoos for sisters. 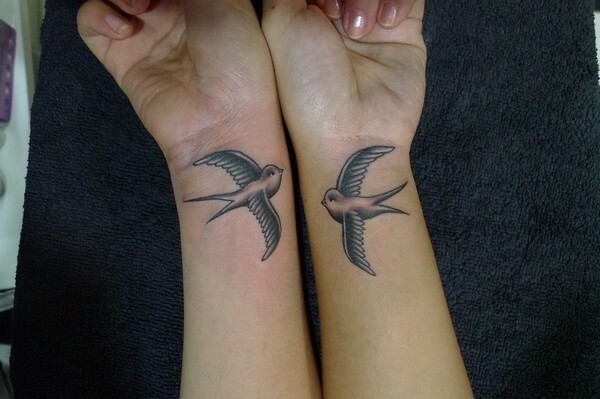 The same tattoo is inked on the same place. 16. There’s no better friend than a sister. There’s no better sister than you. 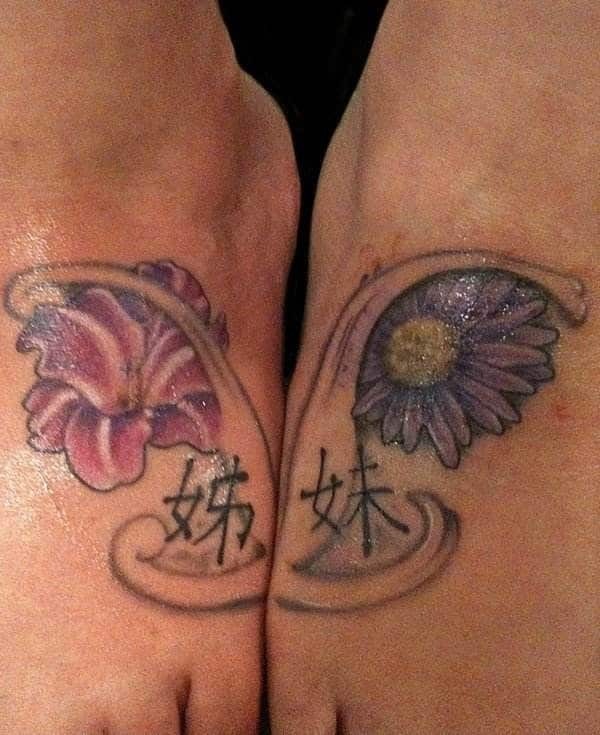 A pink rose and a blue rose with the words “sister flowers” written in Chinese. 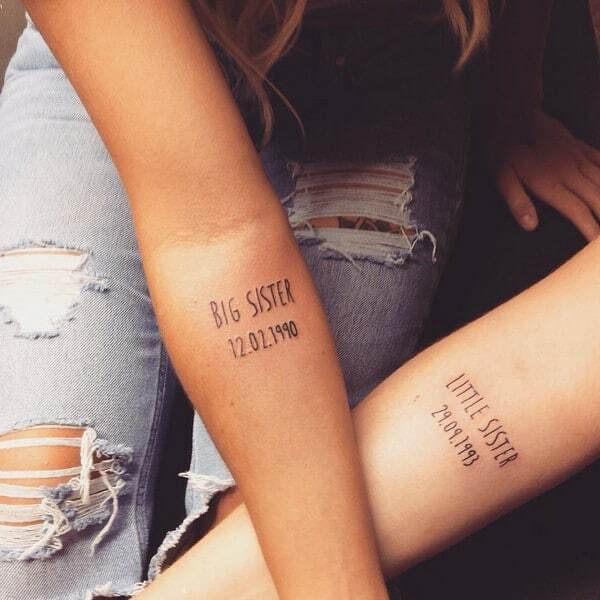 A matching tattoo for a big sister and a little sister. This one have their birthdates on it. This tattoo signifies that they will love each other forever. The word “eternally” is inked on both sisters. This means that they will be together forever. 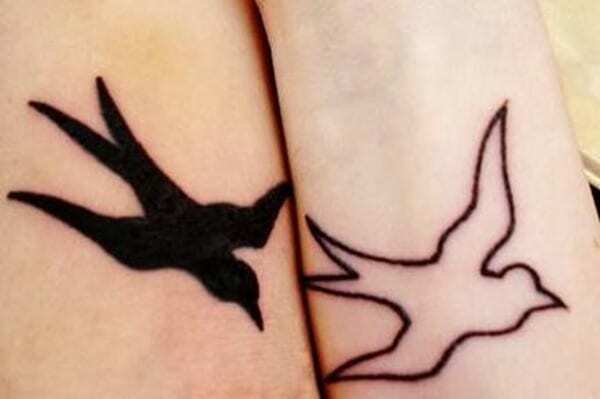 The placement and the size of the bird tattoo are very nice. 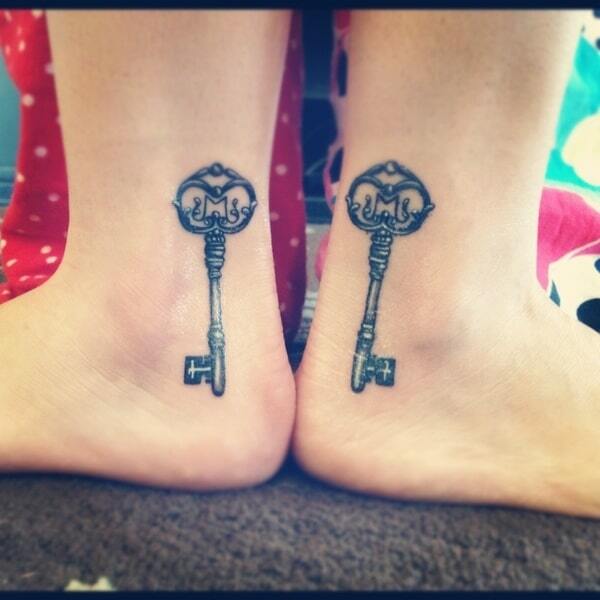 Matching key tattoos for two sisters. 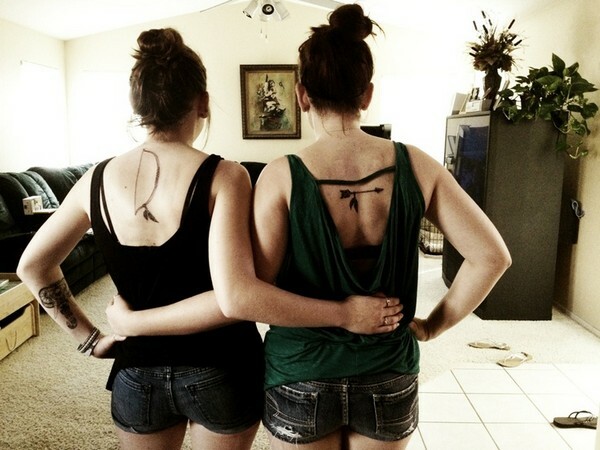 Sister tattoos can create a lasting bond. 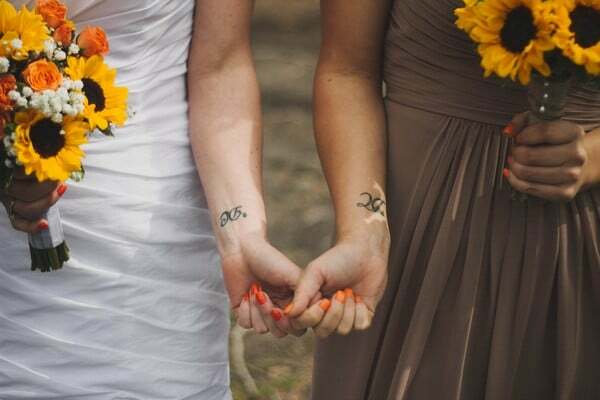 This ribbon tattoo can be meaningful to sisters. 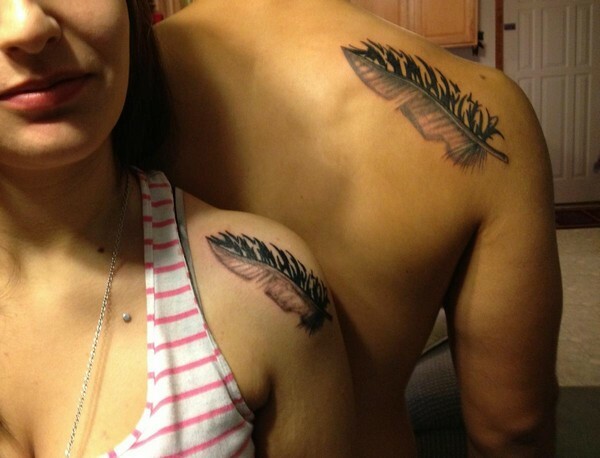 These matching feather tattoos are ideal for siblings who are not fond of large tattoos. 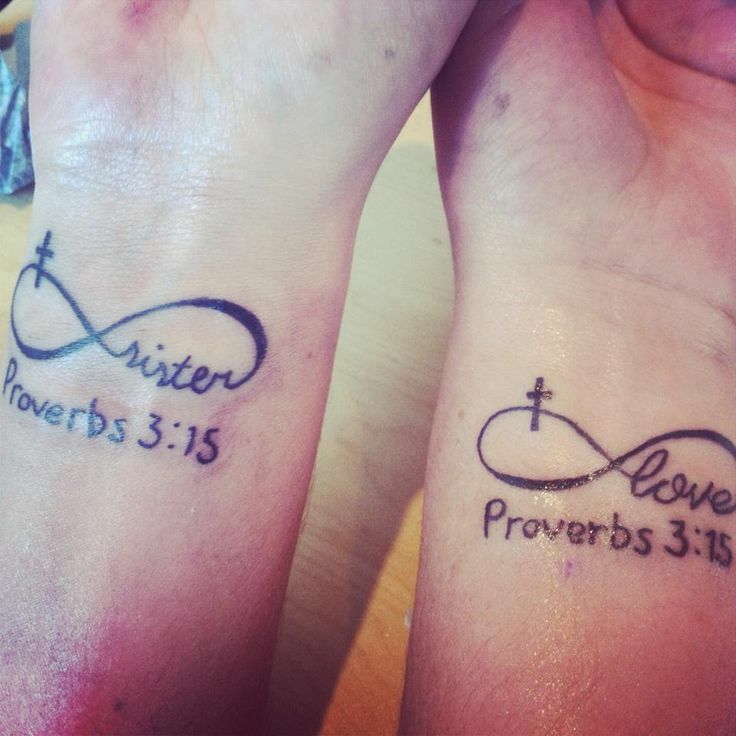 A simple and beautiful tattoo for sisters. The two sisters shared the Mandala image. 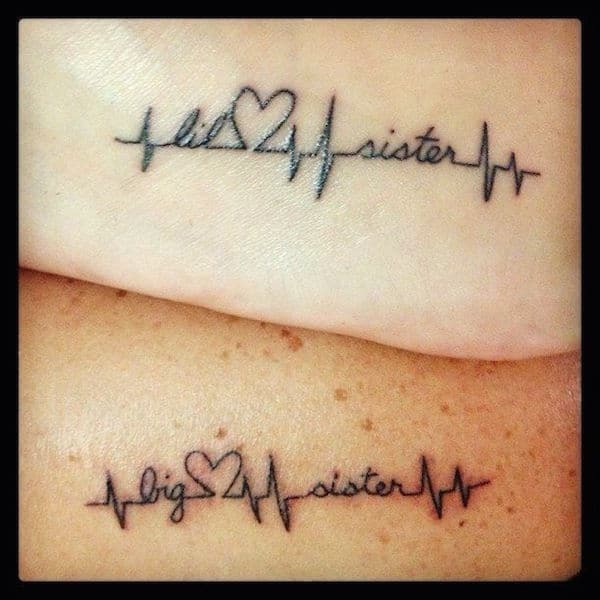 An impressive sister tattoos with a heartbeat. Sisters will always support each other. This means that their hearts will always be together just like their tattoos. 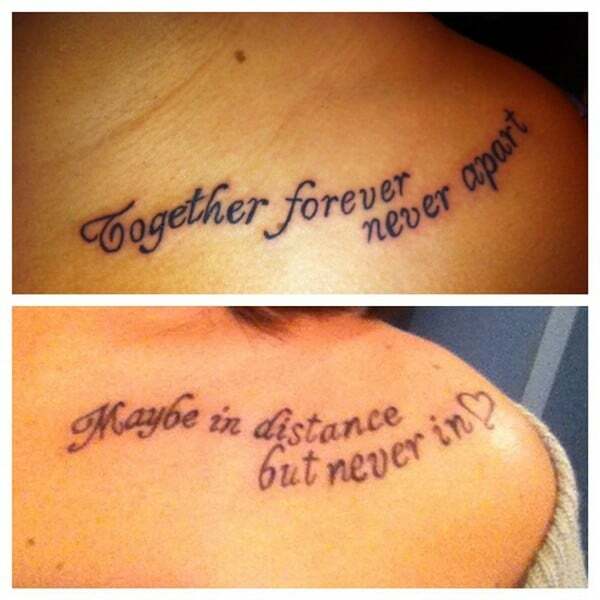 You and your sister can use a quote for a matching tattoo. 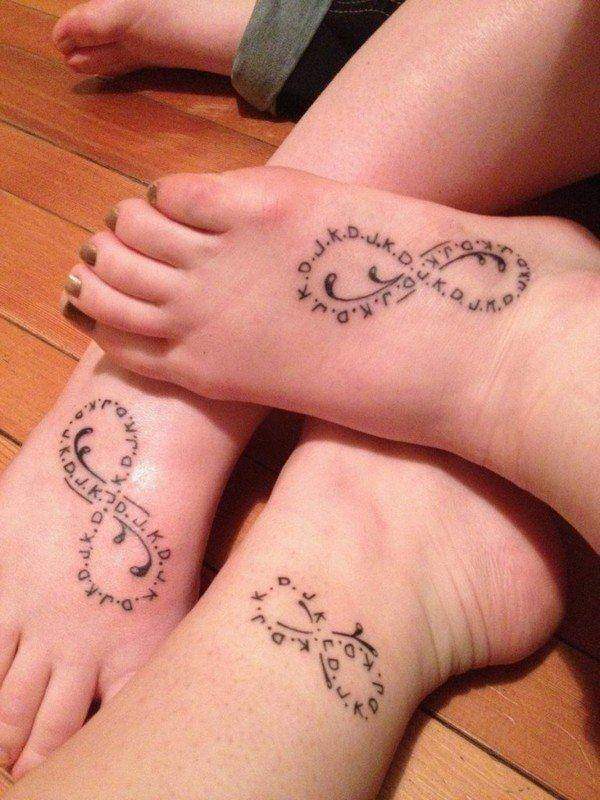 Matching sister tattoos on foot. 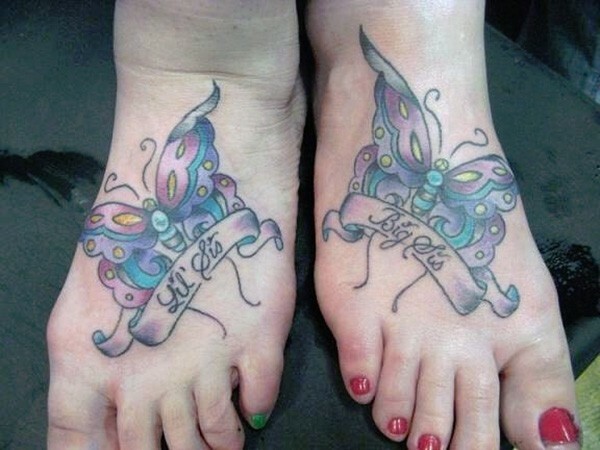 A beautiful butterfly tattoo for the two sisters. 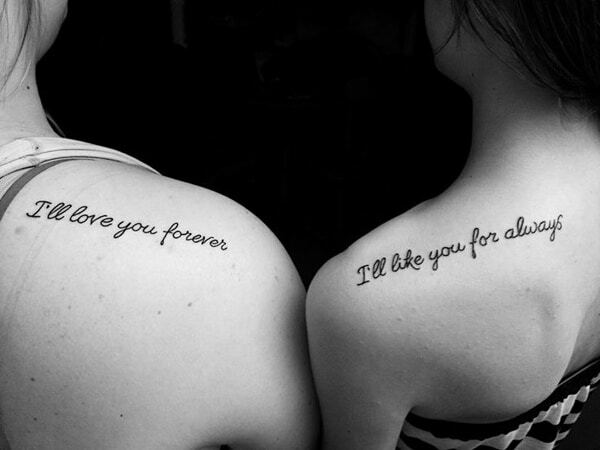 Tattoos is a way of expressing your love towards your sister. 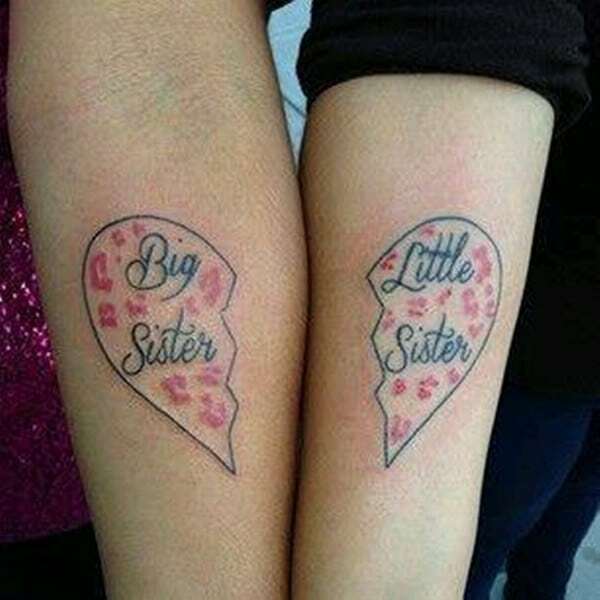 This tattoo shows strong connection between sisters. A simple sister tatoo placed on the side. These tattoos signifies sisterhood and closeness among sisters. 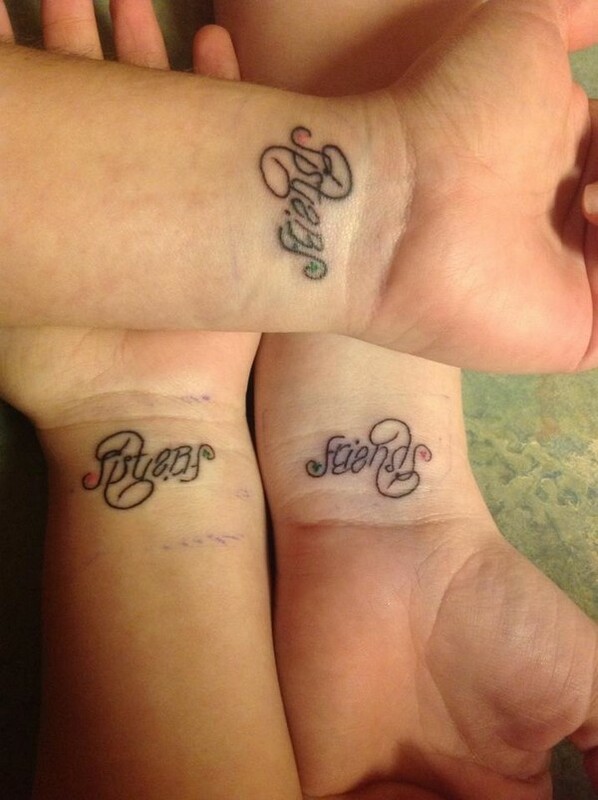 Sister tattoos will show the world that your sister is your best friend. 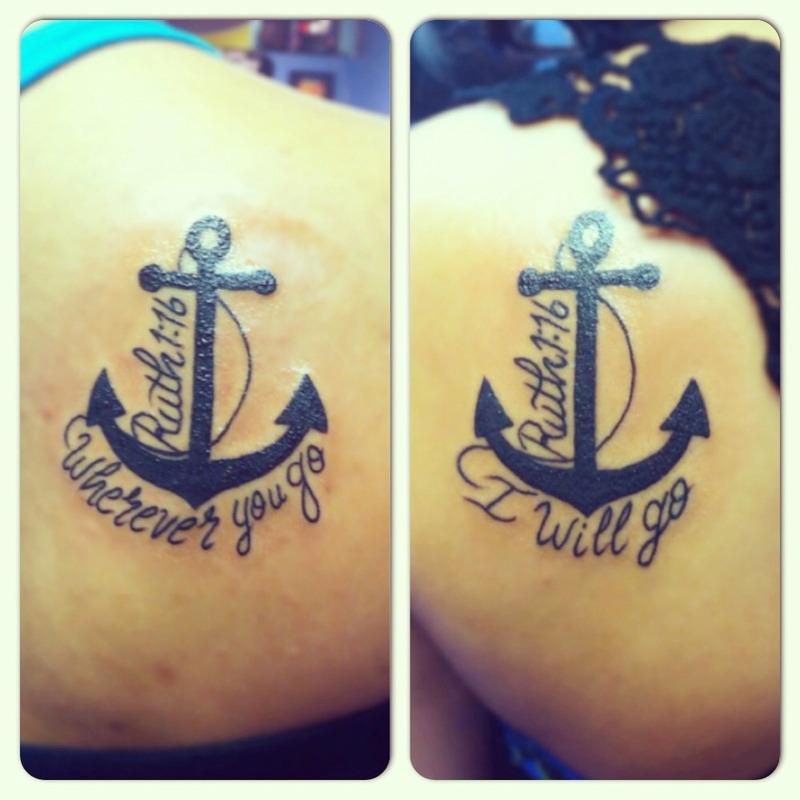 As a sister, you will be my anchor that will always keep my feet on the ground. 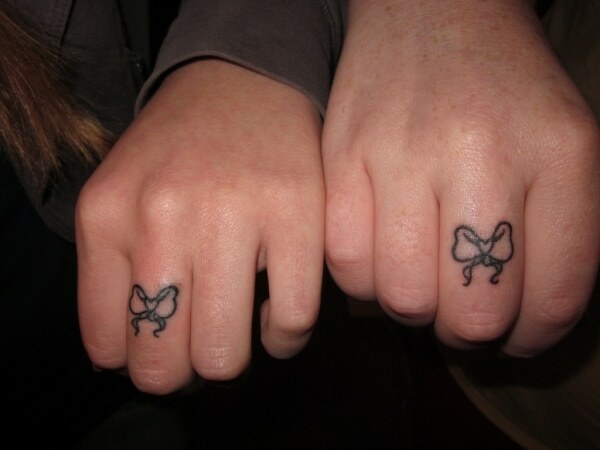 A matching tattoo that looks so cute. 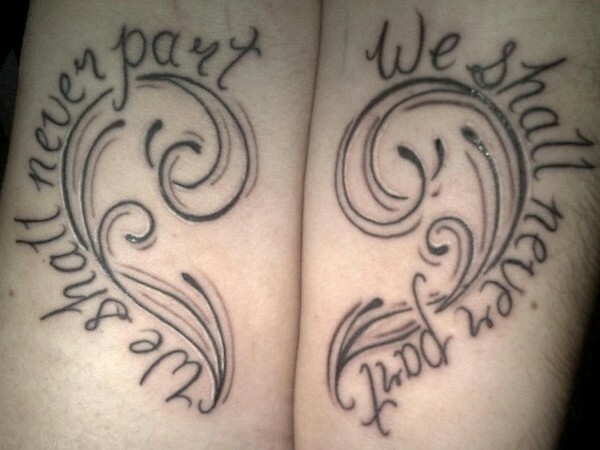 This tattoo means that the two things which are entirely different can also be the same. 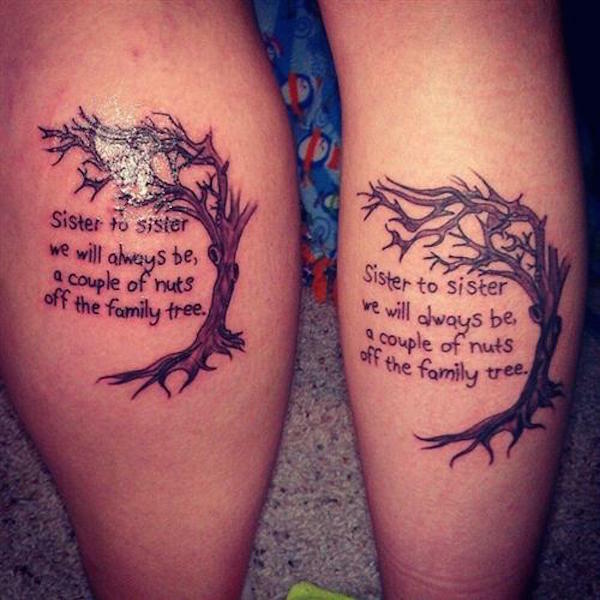 Sister tattoos are the best way of bonding with your siblings. 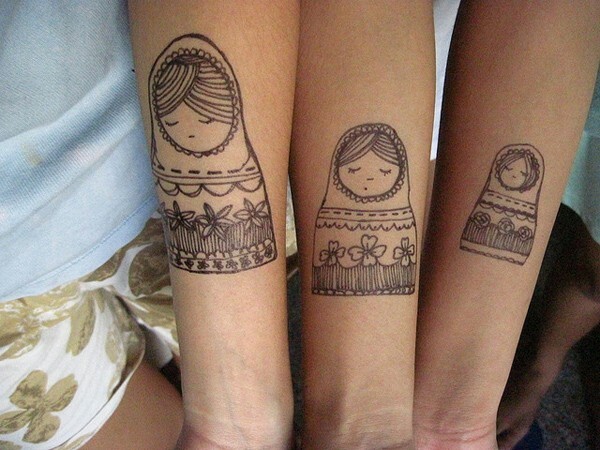 These are beautiful Russian tattoo dolls for sisters. The shoulder is the best place to ink your sister tattoos. 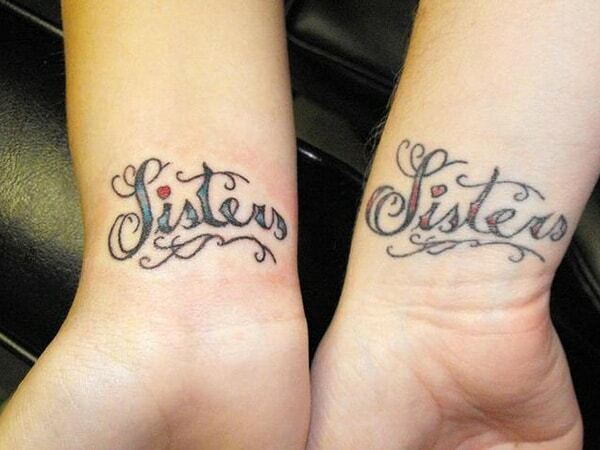 Cool sister tattoos can let you express your deep love for your sister. 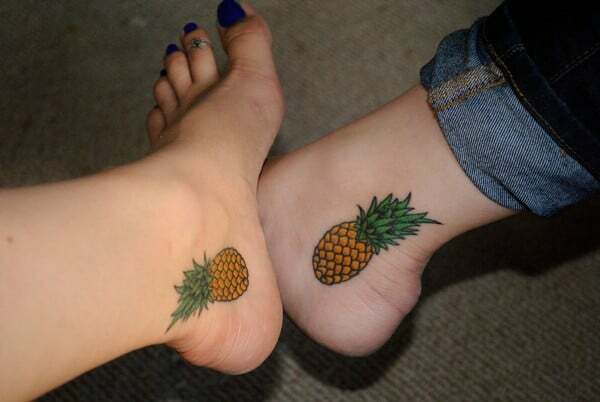 Most sisters love matching tattoos such as this one. 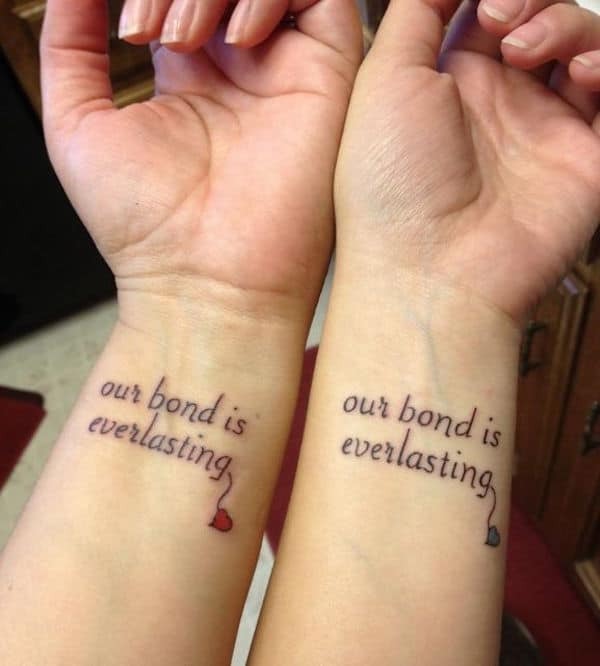 These lovely tattoos are simple and yet it says it all. A common place to get a tattoo would be the arm, wrist or shoulder. 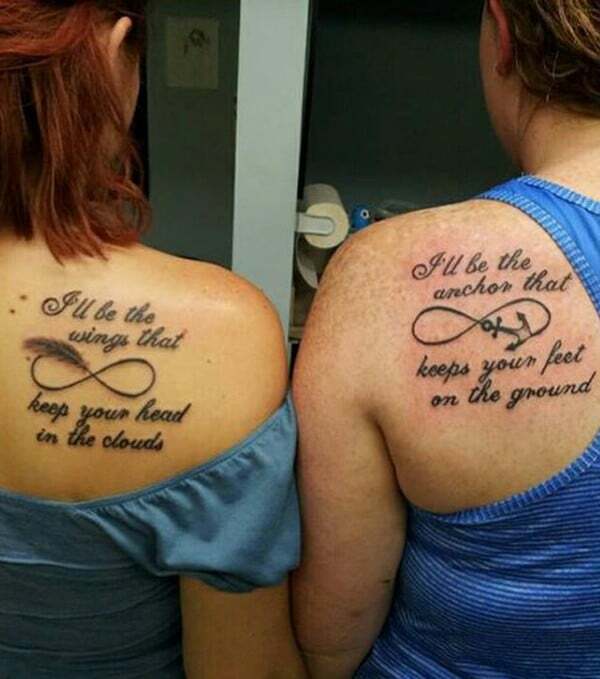 The anchor infinity tattoo signifies that she will be your anchor who will keep your feet on the ground. 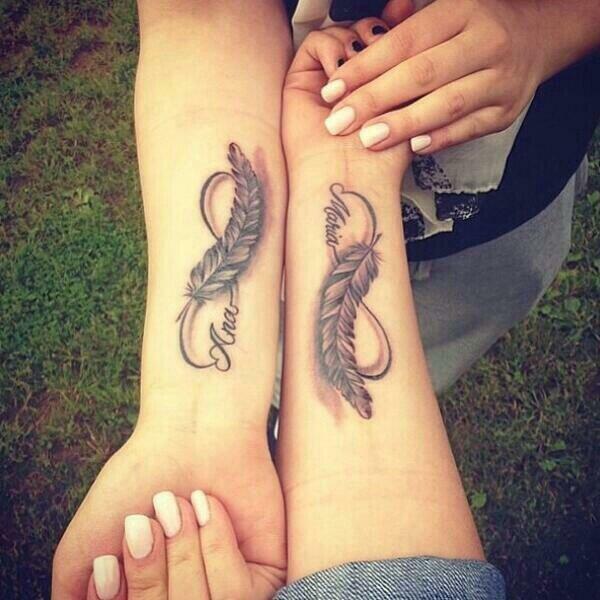 The feather infinity tattoo signifies that she will be your wings that will keep your head in the cloud. Tattooing your body with your sister’s name signifies that she is with you wherever you go. 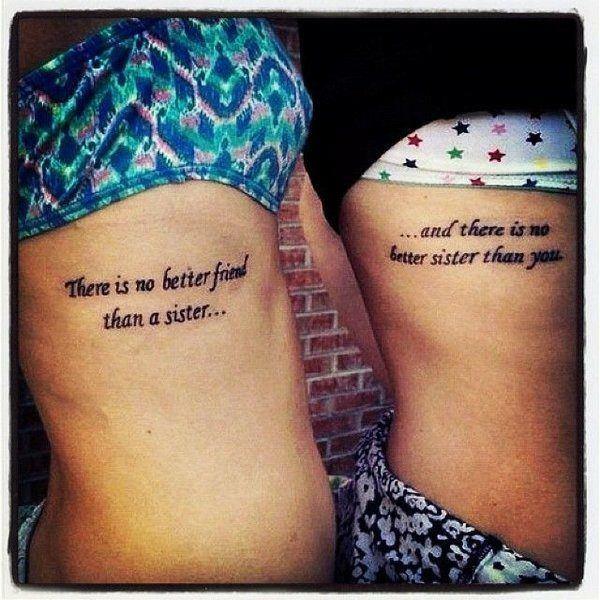 Quote tattoos are perfect for sisters! 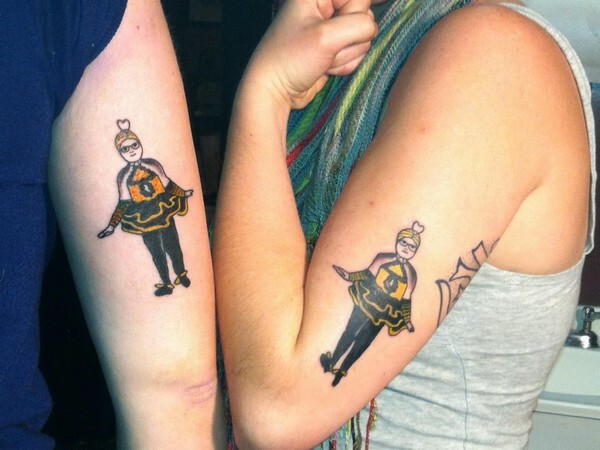 This nice sister tattoo shows that these two sisters are inseparable. 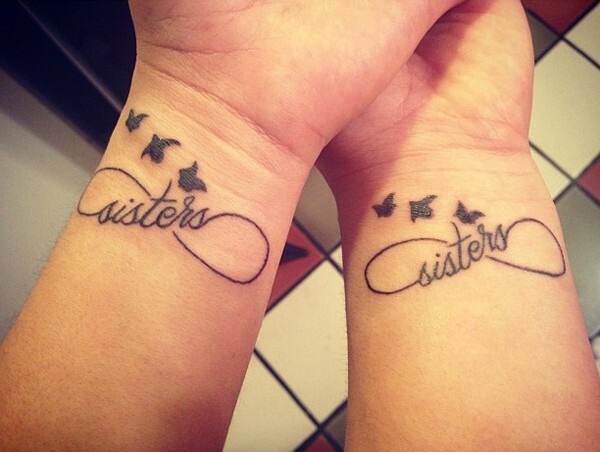 This is the best tattoo for twin sisters. 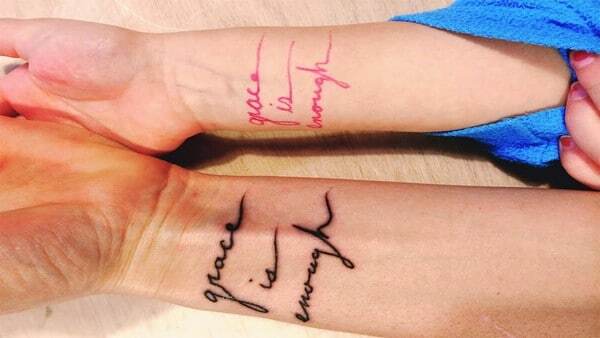 This tattoo reveals the time when these twin sisters were born. Sisters have an everlasting bond. Sisters will always be best friends. 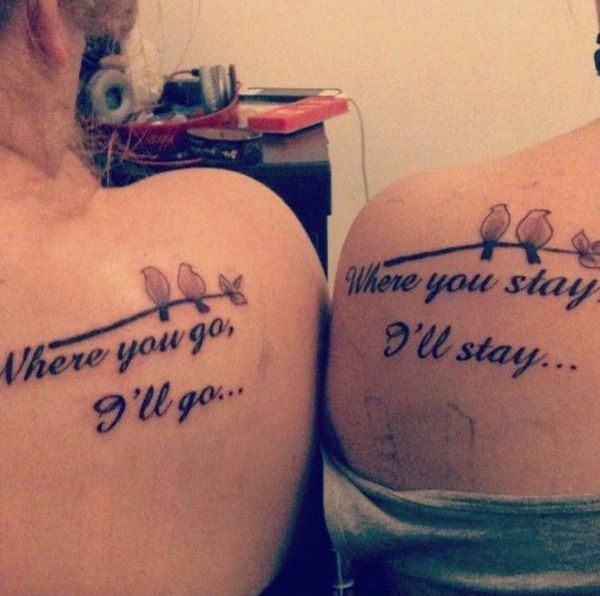 Sister tattoos are the best way of showing your love to your sister. 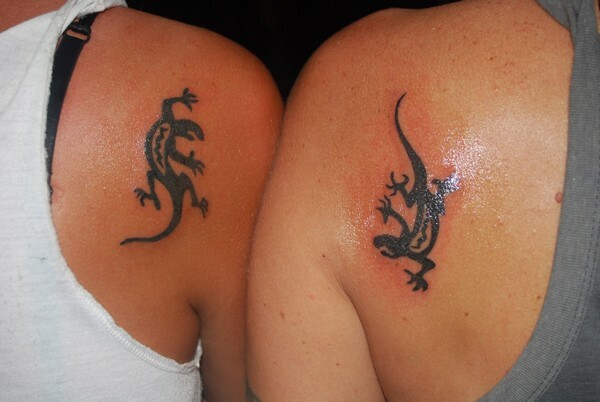 You and your sister can choose your own design of your matching tattoo. 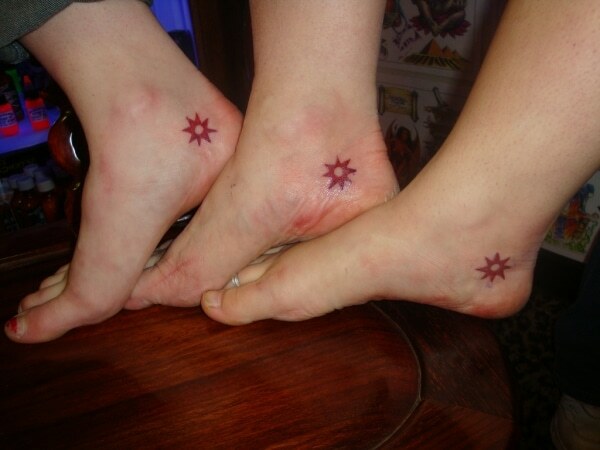 These sisters express their love for each other by tattooing a red star on their ankles. I hope you enjoyed these different varieties of sister tattoos. You might observe that all of these tattoos are quite similar but at the same time they are also unique. 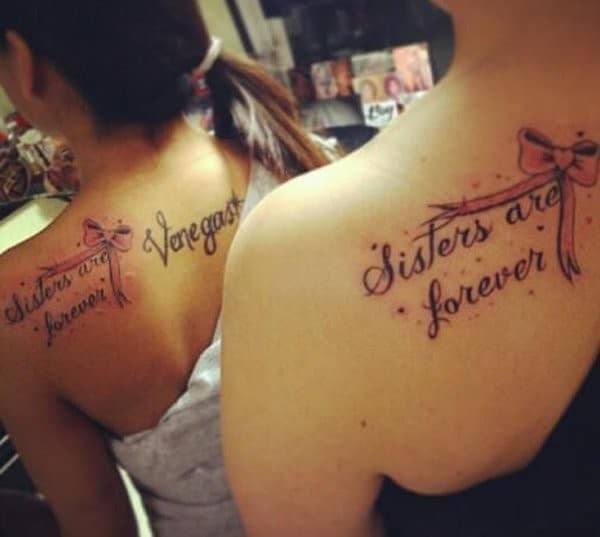 If you and your sister are planning to get a tattoo then you should choose something that is unique and meaningful to both of you. Tattooing yourselves is a great way of bonding. 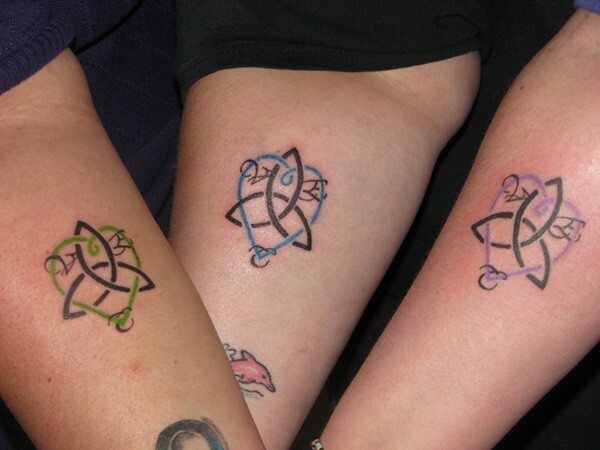 If you like our sister tattoos then feel free to send your comments on facebook.